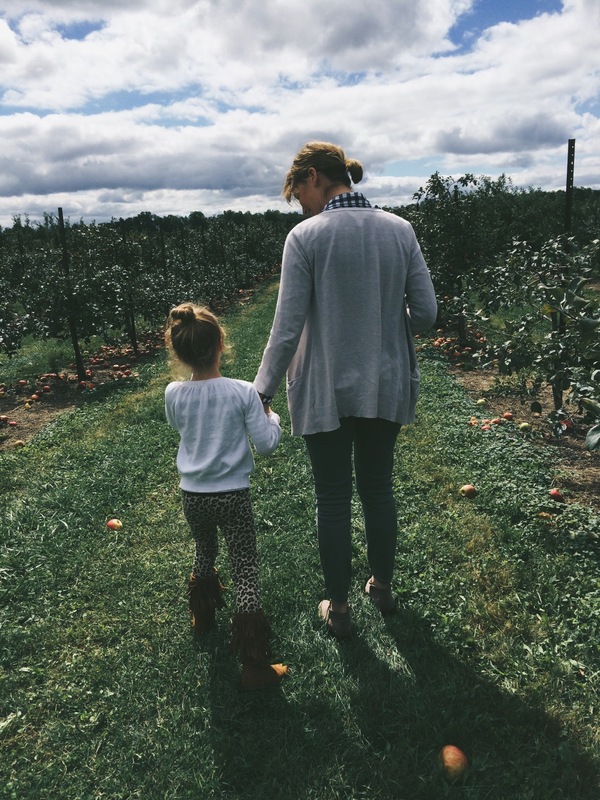 So, this past weekend my friend and I went to an apple orchard. The experience was less than desirable. The orchard was crowded, most of the apples had been picked over or weren’t ripe yet, and (at this particular place) the price of the smallest bag was $20! But in spite of all of that, I did get some apples! I decided I really wanted to make applesauce, but I didn’t want to use all the apples I had just got! So I used 4 medium apples which made 1 ball jar’s worth. I don’t eat too much applesauce anyway, so it’s perfect. 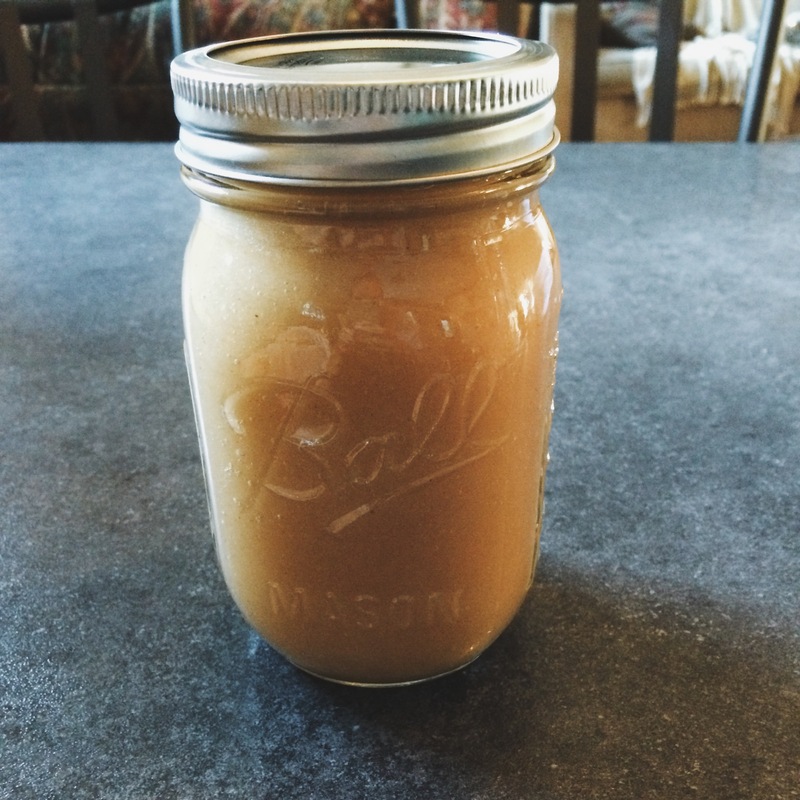 If you want to make a bigger batch and store them over a long period of time, you can can them. But that’s a post for another time. Start with 4 medium apples. Peel them and cut them each into 8 sections, or use an apple corer and it does this for you automatically. After I cut them into 8 sections, I actually cut them once further, so they were smaller chunks. But this is optional and totally up to you. 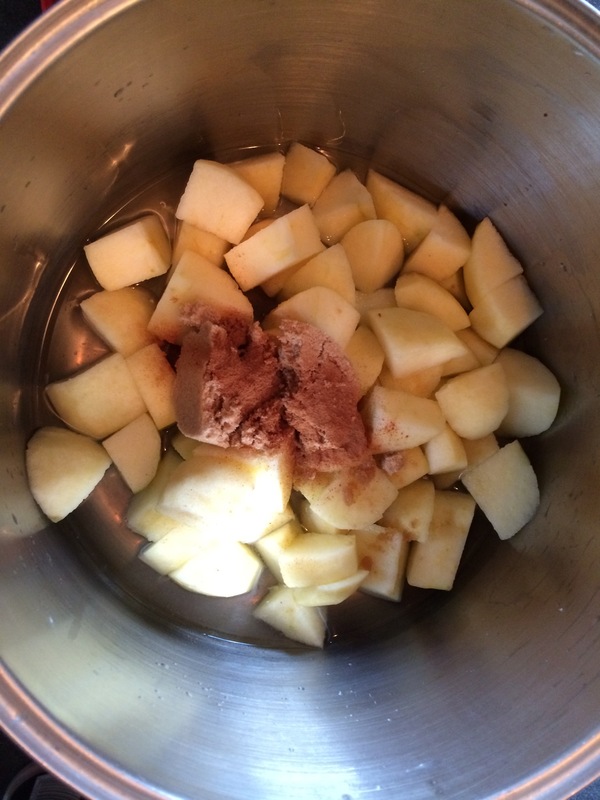 Put the apples in a big pot and cover the bottom of the pot with water or apple juice. 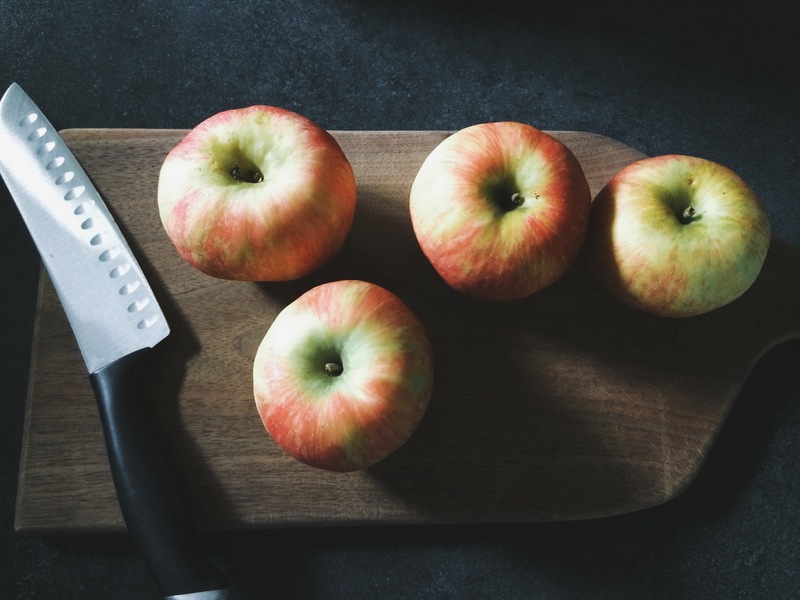 We don’t want to boil the apples, we just want to soften them up, so be careful not to put in too much water. Then, I put in 2 teaspoons of lemon juice (to help slow down the oxidation process or browning of the apples) and a pinch of salt to help them soften up faster. Now this is the part you can kinda play around with. For the spices I used 1/4 cup brown sugar and a teaspoon cinnamon. But you can just add sugar instead of brown sugar, or add more spices like nutmeg, cardamom, etc. I chose brown sugar and cinnamon, in part because it’s what I had in my pantry, but also because I wanted that darker, spicier flavor. So again, it’s up to you! Heat the pot to a boil, then reduce the heat and simmer for 20-30 minutes, covered. I kept mine on medium-low and it took 25 minutes. After it’s done simmering, you can do one of two things: Mash the apples with a fork or potato masher, or throw it in the blender. I chose to use the blender. It was way quicker and gave it the smooth consistency I was going for. I don’t like chunks in my applesauce. But you can blend it to whatever consistency you like! And that’s it! Pretty easy right? I was surprised how well it turned out for my first time making applesauce! Feel free to try my recipe, or play around with it to see what you like. I would think it would be pretty hard to mess up applesauce (but you never know). 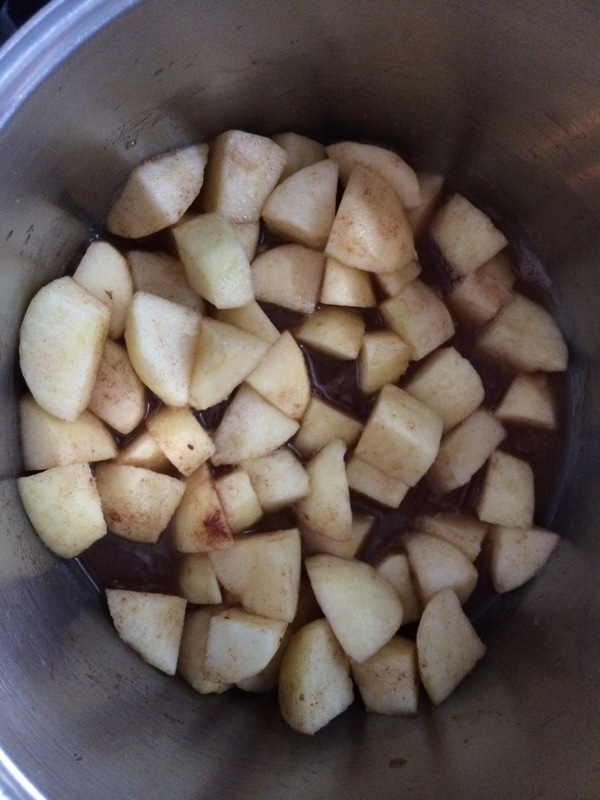 Feel free to share your recipes and experiences with making applesauce! There is a reason these items are at the antique store – someone didn’t like something or everything about it, and chances are you will find something wrong with it too. You can always paint if you don’t like the color or switch around hardware. Maybe you like a lamp but you don’t like the shade. So, just buy the lamp as is but replace it with a shade you do like. Just because most of these items are cheap, doesn’t mean you don’t have to weigh out the options. You should ask yourself questions such as: Do I have a use or place for this item? Is it practical and can I make it fit the style of my home? Is the project at hand manageable or would it take more skill that I don’t possess? Because while you may like owls, it may not be attractive to have 20 of them in your home. So weigh out the options. Growing up, antiquing was always a fun activity to do with a friend. Now that I’m older with a house, that’s not the case! I definitely prefer to go alone. If you are out on a mission to find stuff for your house, other people will put a damper on that dresser you really love but needs some work. Even if they don’t say it, you will feel it internally and you probably won’t buy it. Shopping with friends influences you more than you know! 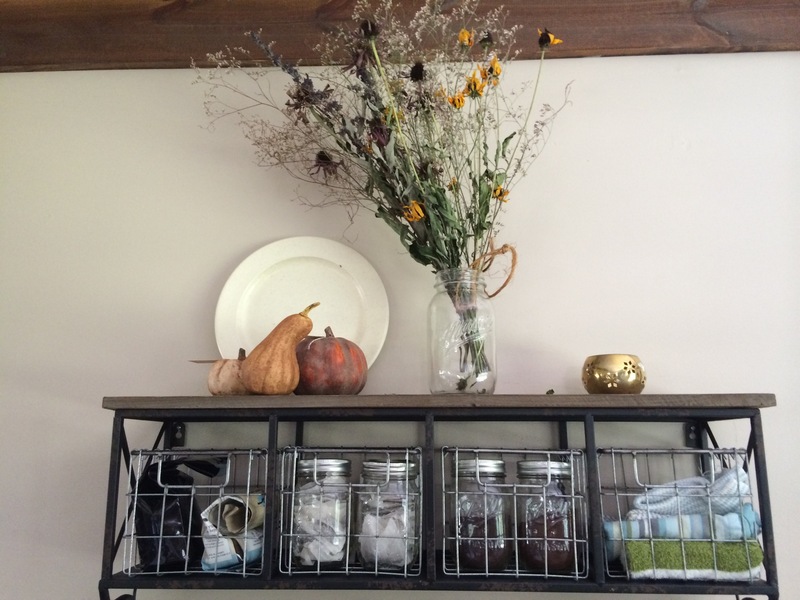 I hope you enjoyed these tips and are ready to brave the world of antiquing! If you have any tips and tricks you use feel free to comment below!